Carci Fixed Gear Alloy bike is made of of high quality Aluminum. The bike comes incompletely assembled, with manufacture box. We provide a small tool pack for customer to assemble the bike, the process is very simple, wont take more than 2 minutes. 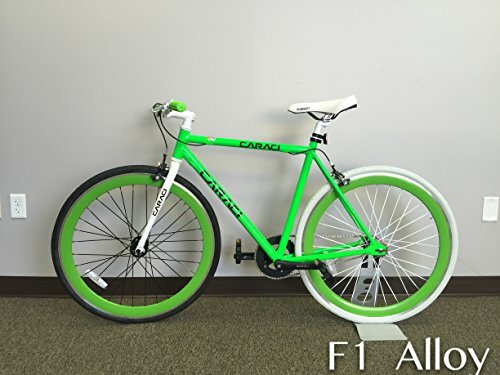 Carci Fixed Gear Alloy bike is manufactured from of top of the range Aluminum. The bike comes incompletely assembled, with manufacture box. We offer a small tool pack for customer to gather the bike, the method may be very easy, wont take more than 2 minutes. Other color for choices. Excellent quality, with bright color.